Launching on the 18th January, the new exhibition at dot-art showcases the work of three painters whose landscape art works are autobiographical representations of their Welsh heritage and the historical interlinking of North Wales and Liverpool. Liverpool’s connection with Wales goes far beyond proximity. Referred to by some as the capital of north Wales, the impact of the Welsh on Liverpool’s infrastructure, architecture and even accent is deep-rooted, with a long history of Welsh migration instrumental in expanding the city to include towns such as Anfield and Everton. A key symbol of the Welsh influence is Toxteth’s ‘Welsh Streets’, built for Welsh workers migrating to the city and fondly named after Welsh towns and mountains; the silhouette of the Clwydian hills visible across the river Mersey. 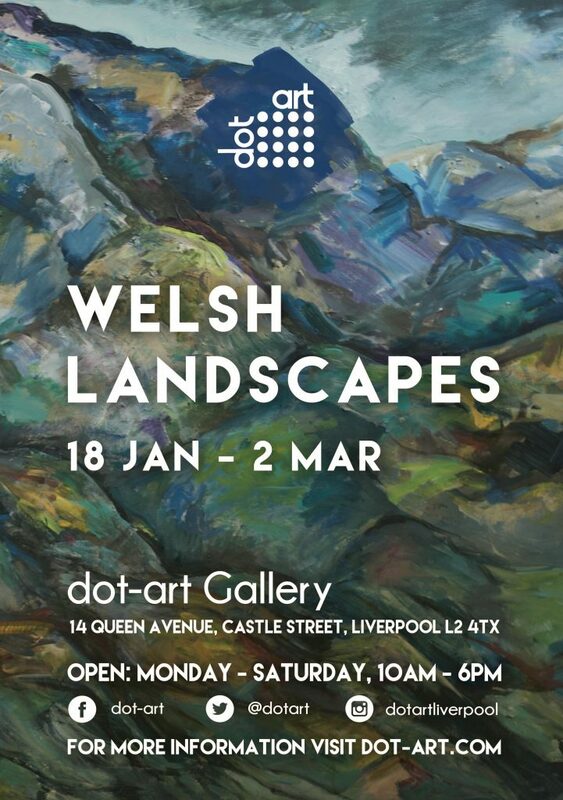 This exhibition aims to reflect this historical bond between Liverpool and Wales, depicting the appreciation Liverpool has for the beautiful Welsh landscape and the striking topography our neighbouring region provides for us to enjoy and explore. Huw Lewis-Jones is a professional artist based in Liverpool with roots in Dolgellau, North Wales. Huw finds inspiration in the beauty of rural north Wales and his home in south Snowdonia. Painting in impasto layers, he demonstrates rich texture carving out the magnitude of Welsh mountains and skilfully layering colour to recreate the dramatic physical details of the landscape. Susan Williams’ practice reflects the extraction and quarrying processes that have impacted and altered the appearance of the North Wales landscape over time. Mainly working around The Great Orme, Parys Mountain and Snowdonia regions, the generous planes of colour elicit movement and pattern across the canvas. Her abstracts are constructed from layers of painting, drawing, and print using local organic and mineral pigments overlaid with precious metals. Dorothy Benjamin was born in New Zealand where she completed a Fine Arts degree at Auckland University before moving to Britain. Dorothy loves to explore the different landscapes strung along the Welsh coast; a palette of earthy browns and oranges capturing the quiet intensity of the landscape. Her fascination of heavy, foreboding skies evokes a visceral response in each of her signature oil pieces. This exhibition starts on Friday 18 January and runs to Saturday 2 March. Entry is free and all are welcome. dot-art Gallery is celebrating the festive season with exhibition The Liverpool Collection, which returns for the third in an annual series of local art. Opening on Friday 23rd November, this year’s exhibition will comprise 19 artists from across the Liverpool region; celebrating a city steeped in culture through a variety of distinctive artistic styles. Liverpool is well known for its thriving music scene and Amanda Oliphant’s beautiful mixed media collages depict one of Liverpool’s most famous exports, The Beatles. These simplistic yet intricate limited edition prints are available from only £75, a stand-out gift for the music lover you know. Phill Gornall creates stunning pen and ink renderings of Liverpool’s architectural triumphs. His brisk and energetic drawings are a keen favourite among those who love a minimal aesthetic and with framed originals starting at only £160 they make the perfect, thought-filled gift. Whether you frequented The Magnet for years or met your best friend in Cuthbert’s coffee shop, you’re bound to recognise one of Antonio Franco’s subjects. Better known as the photographer behind ‘Liverpool Shopfronts’, Antonio’s love for symmetry and balance is depicted in each of his charming shopfront portraits and from £35 you’ll never have been a better Secret Santa! Finally, to celebrate the third year of The Liverpool Collection we are releasing a brand new bauble design to adorn your tree alongside the must-have collectables Sefton Park Palm House and Liver Building editions. In frosted white our latest Metropolitan Cathedral bauble will glow among any Christmas themed décor and will be available online and in the gallery. Shape, colour and gestural markings are at the fore of the new exhibition at dot-art Gallery. The Abstract will be open to the public from 4th October to 10th November and will feature a double bill of local artists whose practices both reject conventional representation. Emily Bartlett and Daniel John form a compelling pair; both harnessing the power of colour, shape and motion within their art through schematized compositions. Vibrant forms and punctuating brush strokes take the viewer on a visual journey across each canvas with no intended beginning or end. Artist Daniel John has practised drawing and painting for most of his life. Having graduated with a first-class fine-art degree in 2003, Danny has continued creating art from his studio in Liverpool. His art often contains a scaffolding of systematic and clean structures and by layering lines of intense colour; reds, oranges and yellows, the notion of depth is consistently experimented with. Using acrylics, Danny applies controlled drips, dots and connecting lines to paper and canvas creating a calming illusion of space and dimension. Emily Bartlett’s bold collection of work is pure-abstraction. Having grown up on a dairy farm in rural Dorset, Emily’s inspiration is derived from the noisy and stimulating energy of the land. Now based permanently in her Liverpool studio, Emily’s current collection showcases a responsive use of colour, her own visual vocabulary communicating deeper themes and emotions common to all viewers. By exploiting non-naturalistic brushwork and dynamic form her work is luminous with energy, a profusion of imagination and curiosity. This exhibition starts on Thursday 4th October and runs to Saturday 10th November. Entry is free and all are welcome. 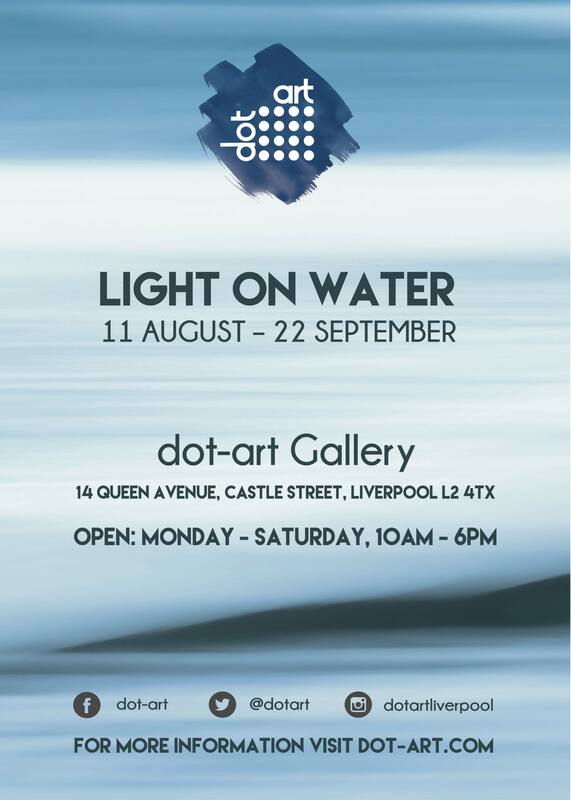 dot-art Gallery’s exhibition Light on Water is a showcase of 10 contemporary artists from the North-West. Each of the artists share a fascination with light and its ever-changing effect on the surface of water. This exhibition features a plethora of artists Clare Bates, Dorothy Benjamin, Frank Linnett, Grahame Ashcroft, Julie Lawrence, Mark Nelson, Mark Reeves, Mark Sheeky, Rob Edmondson, and Subhash Lal, each examining the interplay of light and water and the different way in which water can be represented through art. The Light on Water collection exploits a variety of media to convey our most abundant yet precious element. From dark layers of oil to dappled watercolour, each artist transcends the symbolic wavy line, using water as a subject to determine the overall mood of the piece. Julie Lawrence’s ‘Tide of Light’ series fades sky into ocean, capturing the fleeting and ephemeral quiet of fog-covered marshland and slick rock pools before the swelling tides take over. Using light, curved brushstrokes Julie lifts the textural coastline from the unusual stillness of the water. Photographer Mark Reeves adopts an array of camera techniques to create his open and minimal compositions. Capturing soft planes of light refracting on the water’s surface, Mark’s impressionistic use of angle and movement accentuate the passage of time. New Zealand born Dorothy Benjamin renders the true essence of the rural British landscape, drawing inspiration from the Welsh coast and the dark peaks of Derbyshire. Her mood-filled landscapes are heavy with foreboding; dark clouds casting sheets of rain into the distant churning waves and using light brush strokes highlighting where sea tumbles into land. Painter Rob Edmondson uses colour to showcase the relationship between light and water. From accents of ochre to cerulean, his coastal landscapes depict the setting sun over expanses of water in an almost photographic style, perching the viewer on a panoramic vantage point. Each of these works complement a series of art by Clare Bates, Grahame Ashcroft, Subhash Lal, Mark Nelson, Frank Linnett and Mark Sheeky. Featuring art from five local artists, The Rough With The Smooth explores how artists choose and work with materials to create varying textures. Different surfaces very much affect the way we respond to art and here we aim to showcase the physicality of materials and the properties yielded from each medium, from the viscosity of paint to the coarseness of wool. This exhibition features artists Liz Jeary, Sharon Mullane, Catherine Carmyllie, Joanne Thompson and Hilary Dron, each experimenting with relief and depth, light and dark, combining elements to create a contrast of actual and perceived textures. Sharon Mullane is a self-taught artist based in Liverpool whose work is an interpretation of emotion captured in a single point in time. Clouds of alcoholic inks and smooth resin exaggerate the notion of depth in each of her pieces, with heavy waves of colour and abstract shapes fundamental to her expression. Sharon exploits the smooth, glossy properties of liquid resin to capture the movement of ink through layers, freezing the interaction of colours mid-motion. Liz Jeary uses embroidery to explore new meaning in fine-art photography. Intricately piercing rows of rainbow stiches and incorporating geometric lines of tactile organics, Liz reimagines photographic portraits and landscapes, using wools and cottons to emphasise textures that the camera simply can’t. Liz’s collection of portraits are sewn with a sense of whimsy and light-heartedness, pushing the boundary of what is considered a photograph. Liverpool born artist Hilary Dron explores the physicality of new materials, using oil and cold wax to build up to thirty different layers, showcasing their unique properties through scraping, scoring and dripping to reveal colour and shape beneath, a methodical artform which reflects the natural processes that inspire her in surrounding landscapes. Hilary’s aim is to achieve a structural integrity though these multilayered surfaces; each piece with its very own ‘geography’ on the surface. Joanne Thompson combines a broad range of materials to balance the textures in each of her vibrant pieces. By contrasting expressive mark making through energetic flicks of paint and more refined parallel stripes, each part of Joanne’s art responds to light in adverse ways as a result, showcasing a playful variation in surface plane. Liverpool based Catherine Carmyllie is inspired by her surroundings, both the changeable landscape and by contrast, the static and industrial city. Her work is heavily process driven and constructed by layers of collage, Modroc, paint, ink, oil pastel and metallic foils. This diverse range of media allows for exciting experimentation with both colour and texture. The exhibition runs from Friday 15 June to Saturday 4 August. Entry is free and all are welcome. Metamorphosis is a new exhibition of paintings and drawings by Liverpool-born artist John Petch. In 2016, John was asked by electronic band Orchestral Manoeuvres in the Dark, who hail from the Wirral, to design the cover for their new album. This collection comprises the development and preparatory work for the individual painting, the accompanying single artwork designs and subsequent pieces inspired by the creation of these now highly recognisable artworks. The album art represents a morphing of physical states; from colour to black and white, human form to mechanical, creating tension between the known and unknown. Taking inspiration from the symbolist works of Giovanni Sagantini, whose foreboding painting ‘The Punishment of Luxury’ lends its name to OMD’s 13th studio album, Petch translates traditional philosophy into abstract symbolism using bold geometric intersections and acidic blocks of colour. 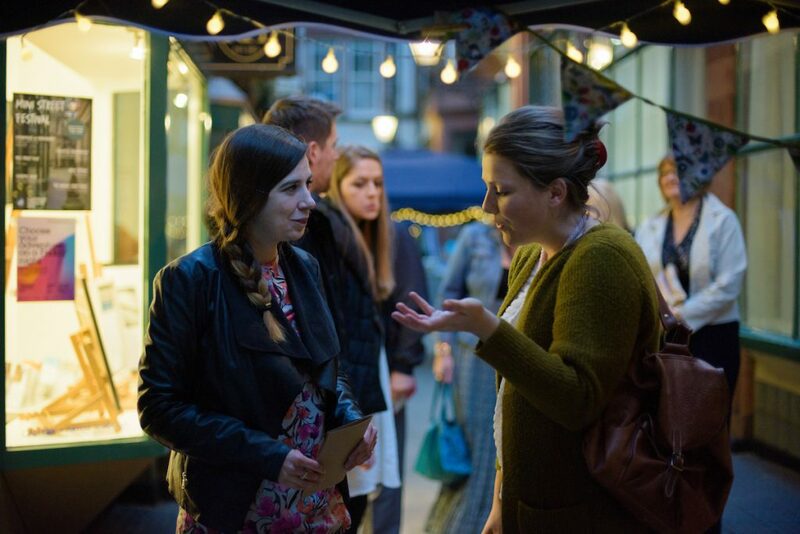 On Friday 18 May from 5pm until 10pm, all are welcome to explore Queen Avenue as we take part in celebrating LightNight and this year’s theme of ‘Transformation’. 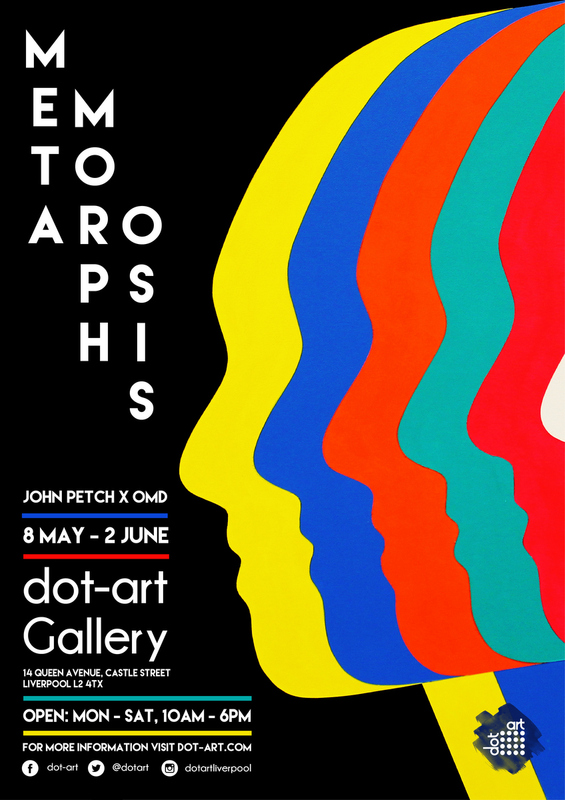 Visitors will be able to see new art exhibition Metamorphosis; a John Petch and OMD collaboration at dot-art Gallery as well as surprise musical performances and food and drink stalls from Liverpool’s favourite eateries. The exhibition runs from Tuesday 8 May to Saturday 9 June. Entry is free and all are welcome. Featuring artwork by six local artists, Arboretum showcases the enduring relationship we have with our botanical cohabitants. 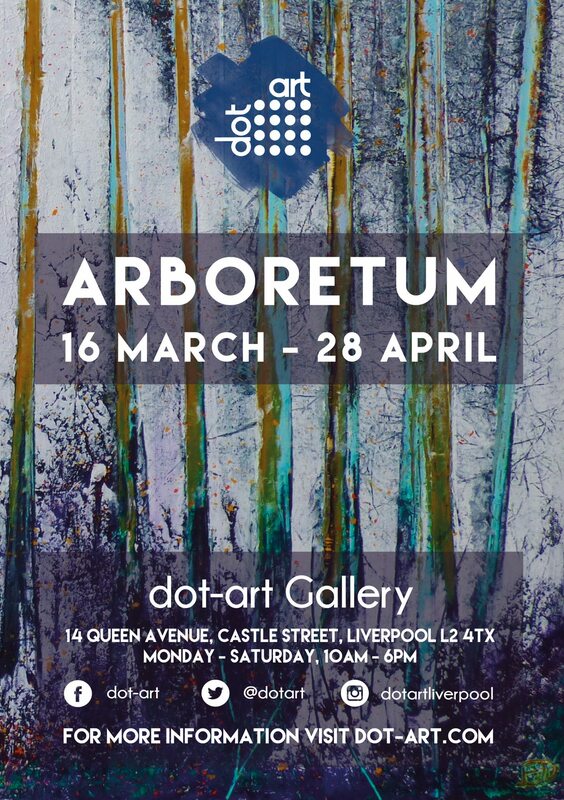 A source of creative inspiration for hundreds of years, figures of poetic symbolism and worship, emblems of calm and tranquillity – Arboretum celebrates the tree. This exhibition will showcase work from artists Joe Thompson, Amanda Oliphant, Hazel Thomson, Frank Linnett, Hilary Dron and Rob Edmondson. Hilary Dron layers oil and cold wax to create dense thickets of texture in her paintings. Her collection of abstract Pines and Silver Birches depict windows of reimagined adventures from her travels from Liverpool to Ireland and Japan. Although exploiting a vibrant palette, each woodland scene evokes a deeply quiet aesthetic through her use of generous layering. Wirral-based painter Amanda Oliphant believes in forming a kinship with the natural world through her art, highlighting and exposing elements that often go unnoticed to others. Her oil and acrylic landscapes showcase the twisting hollows of weather beaten trees beneath atmospheric skies, her clever use of negative space placing her solitary trees centre stage. Hazel Thomson is a seasoned ‘Arborealist’. Having painted many of her stunning landscapes in Cheshire and Liverpool, Hazel’s body of work reflects her intimate observations of forests throughout their cyclic conservation and regrowth, both cold and exposed and lush and green. Her realistic representation captures the gentle movement of dappled light and the rushing sounds of leaves. For Liverpool-based artist Frank Linnett the importance of having visible references to ‘real’ things in his paintings, even if the piece does not reflect a definite reality, can be seen throughout his collection in Arboretum. The contrast of delicate Birchwood branches against soft pastels creates an effective and surreal aesthetic, whilst transporting the individual viewer to a specific and nostalgic place. 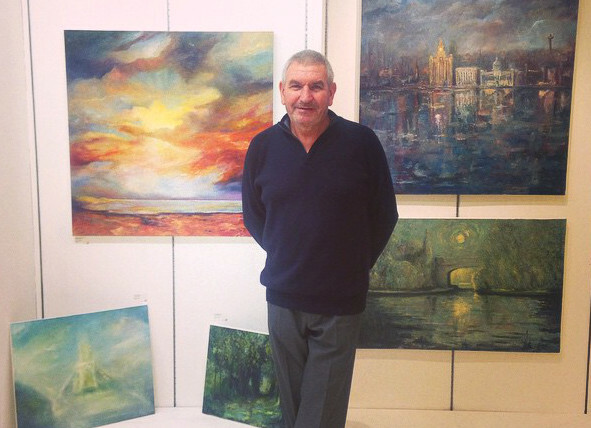 Rob Edmondson’s art is a true reflection of the beautiful Lancashire landscape where he lives. The focus of his art is deeply introspective, as for each piece he considerately questions the choice of natural subject matter. Rob’s bold and lush palette is refreshing and invigorating to take in and illustrates the organic beauty found in every season. Joe Thompson is a Liverpool-based painter whose Arboretum series of work portrays soft and looming woodland scenes. Taking inspiration from his own travels, Joe translates his observations onto the canvas, perfectly capturing the fleeting glimpses of light breaking through the canopy. The exhibition runs from Friday 16th March and to Saturday 28th April. Entry is free. 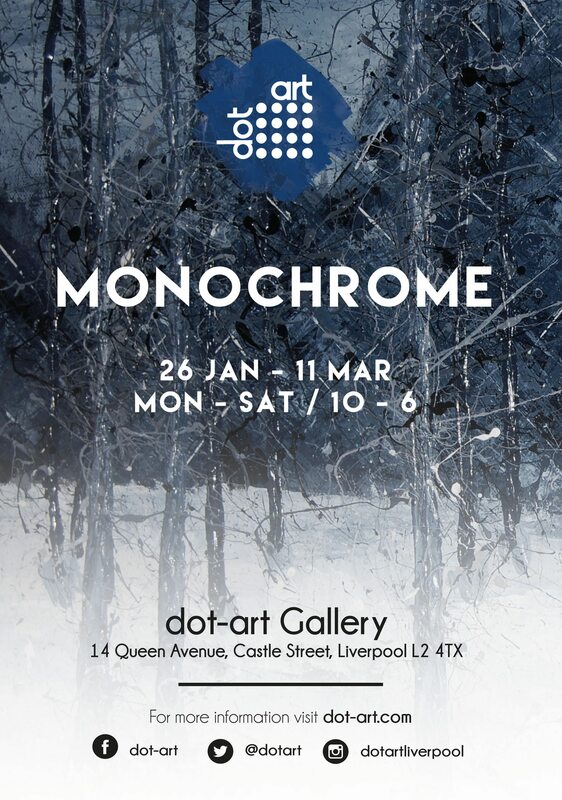 Featuring artwork by three local artists, MONOCHROME serves as a contrast to last year’s exhibition ‘Chroma’ – which exploited and harnessed the use of colour – now aiming to simplify the focus of the viewer onto creative process, form and subject. What do we see in art when colour is taken away? Exhibition Monochrome presents a striking collection of paintings from three artists; Lee Summerfield, Susan Williams and David Brightmore, each of whom have limited their use of colour, instead giving prominence to texture, form and shadowy depth. Artist Lee Summerfield takes inspiration from the natural world when painting. Having worked as a graphic designer for most of his career, Lee has in recent years returned to the easel, enjoying the kinetic and organic processes behind his work. His Monochrome pieces build up heavy layers and concentrated textures with purposeful mark making, creating a unique plane of depth to his ethereal woodland scenes. Susan Williams’ art practice involves taking inspiration from her surrounding North Wales landscape, developing figurative and abstract images. She reflects upon the extraction and quarrying processes that have impacted and altered the appearance of the land, expressing her observations through layers of painting and drawing, using local organic and mineral pigments overlaid with precious metals. The way the land has been formed and deformed by human activity informs the process of her image making and is brought to the fore in her bold Monochrome collection. David Brightmore’s usual portfolio of work uses vibrant acrylics and oils, his keen interest in family history and his own Welsh heritage manifesting in each piece. His series of ‘figurescapes’, inspired by the beautiful mountain region of Snowdonia, combine the scrambling energy of abstract figures with the rhythm of the rough terrain. For Monochrome, David maintains the energy of his subject matter, painting without colour to exaggerate the liveliness of the human form using heavy layers of charcoal and pencil. The exhibition starts on Friday 26th January and runs to Saturday 10th March. Entry is free. 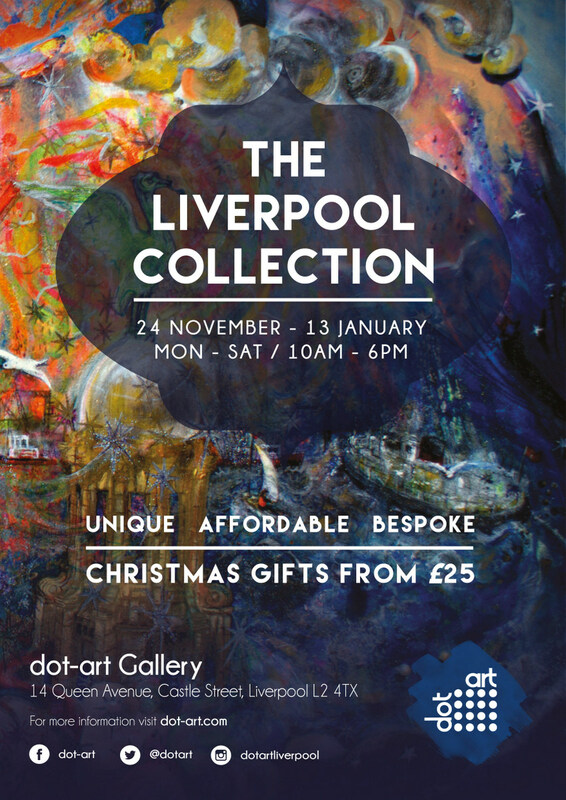 dot-art Gallery’s Christmas exhibition, The Liverpool Collection opens to the public on Friday 24th November. This is the second year the gallery will host a festive group show celebrating Liverpool’s famous vibrancy, from striking and renowned iconography to subtle Merseyside nostalgia. The exhibition will showcase over 20 local creatives whilst inviting Christmas shoppers in for a mince pie and a browse. So whether you have a football fan sibling (red or blue!) or an old friend who’s moved away from the city, our independent, local gallery is decked with unique gift inspiration for the person who has everything. The Liverpool Collection features a diverse array of artists including Olga Snell and her surreal digital collages, which turn well known Liverpool sights into swirling, whimsical mandalas. At only £60, they’re perfect for the eclectic vintage lover you know. For the extrovert who loves bold, statement colours, Chris Grace’s lino prints of Liverpool’s famous architecture would make a brilliant gift. Printed in limited editions, his pieces would make a stocking filler with a difference, starting at only £40. Susan Finch creates ethereal mixed-media canvases, twisting well-known Liverpool scenes into magical and otherworldly paintings. Her original canvases would make a very special gift, but if they are out of your budget, she has produced a limited edition of prints ranging from only £95. And finally, the baubles are back! After selling out last year, our bespoke, hand-designed, Liverpool themed baubles are back in stock. We have frosted white limited editions of both the Sefton Park Palm House and the Liver Building available; a must-have collectable and an essential accompaniment for any themed Christmas décor. dot-art baubles are available both in our gallery and online. dot-art Gallery’s new exhibition, The Art of The Print opens on Friday 6th October and will showcase the work of eight local artists; Bryn Davies, Helen Conway, Mark Reeves, Michael James, Nathan Pendlebury, Alistair Parker, Marianthi Lainas and Jessica Keeler. Each artist in this exhibition explores different methods of printing; traditional, experimental, manual and photographic. For this collection, we observe the distinctive variations of print and how elements from different printing methods strongly characterise the artwork on the surface. 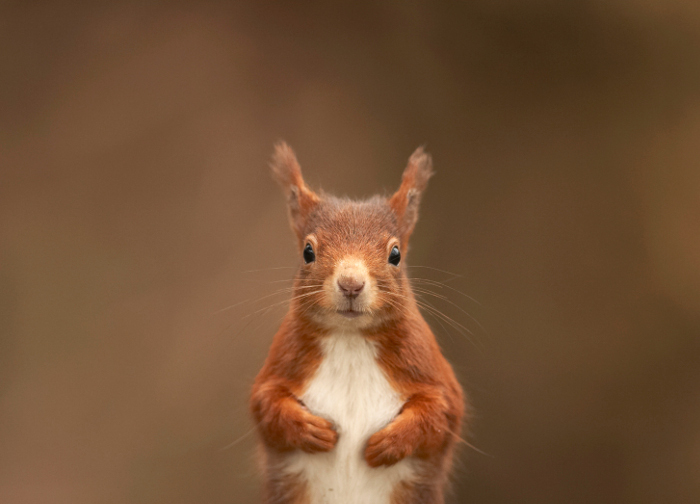 Bryn Davies is a fine art photographer and Licentiate at the British Institute of Professional Photography. His collection for this exhibition offers a contrast to his striking, architectural photography and presents a softness through light drawings of natural forms; Japanese Kussharo trees and static landscapes, lending inspiration from his time spent in Eastern Asia. Bryn’s use of organic materials such as handmade rice paper showcases his affinity for experimental medium. Inspired by urban street art and graffiti writing, Helen Conway incorporates her experiences exploring different urban landscapes, harnessing her inspiration from rapid regeneration and city decay. Her stitched photographic collages in this exhibition hold together unique fragments of Liverpool’s well known landmarks. Fractured local iconography and textural fonts are sewn together creating nostalgic urban mood boards. Michael James is a Liverpool based artist interested in portraiture and architectural drawings. He works in various media and in this exhibition has used bold lino printing to showcase minimal planes of colour in vibrant portraits of Liverpool’s historic architecture. Nathan Pendlebury studied Fine Art at Liverpool John Moores University from 1993 to 1996 specialising in painting. His collection of works shows pure abstraction in dynamic and striking form. He layers bold statements and amalgamates different media to create ambiguous patterns. His photography in this exhibition capture natural scenes that are jarringly quiet and contemplative, the Polaroid prints creating a sense of timelessness. Alistair Parker’s current work connects his observations of people with the urban space they occupy. His fascination for the rapidly decaying and disappearing cityscape, particularly the classic seaside resort, presents a collection of work filled with nostalgia and intrigue. Bringing together a fusion of photography, digital imaging and fine art, the approach taken is highly experimental and combines a range of unconventional materials and processes in addition to the more traditional art media. Having spent her life living by the coast, Marianthi Lainas’ work is predominantly inspired by the shifting sands, dune systems and flowing skies that she encounters daily. Her series of botanical prints further reveals her affection for the organic; bringing the outside inside, in a collection of beguiling still photographs of plants and flowers. Jessica Keeler is a self-taught printmaker who originally studied Theatre Design at Nottingham Trent University. Jessica creates both one colour prints and reduction prints as an exploration of her interpretations of rhythms and patterns noted from nature and places. The exhibition starts on Friday 6th October and runs to Saturday 11th November. Entry is free. Colour in all its forms is the theme of the new exhibition at the dot-art Gallery. 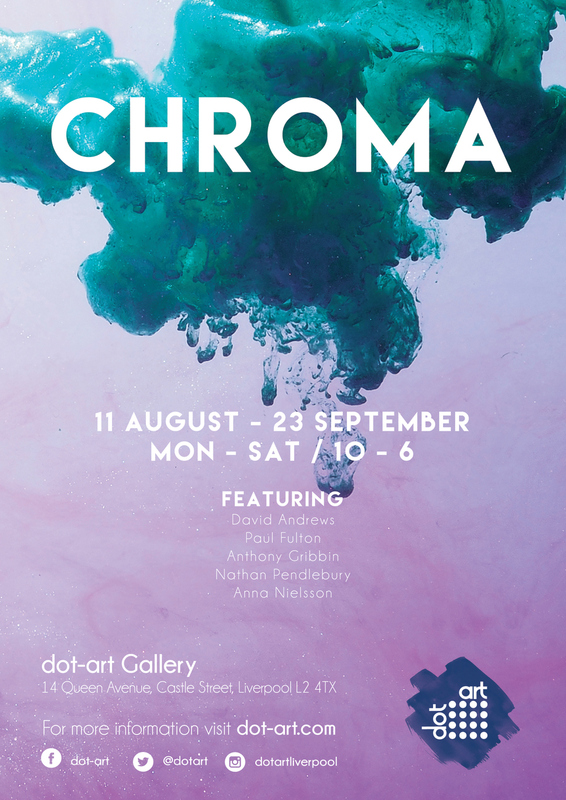 Chroma will be open to the public from 11th August – 23rd September and feature a collection of works by five local artists whose work exploits and harnesses the power of colour. This new summer exhibition celebrates colour and abstraction through rigid line and natural forms. From bold statements to minimal geometrics, Chroma has been curated to demonstrate iconic style. David Andrews is a street artist whose current series of works are geometric abstractions taking inspiration from architecture and his background in graphic design and created especially for this exhibition. Anthony Gribbin, an artist who was based at Liverpool’s Bridewell studios for over 30 years, also produces geometric work but his are pure abstraction. Layers invite us to look closer as the various elements play with and contradict our notions of depth and surface plane. The eye responds in a direct and selective way to certain colour situations, line arrangements and patterns and may be misled so that an attempt to interpret may be confused or frustrated by ambiguous structures. Paul Fulton is a painter who attempts to recreate emotion on canvas. Through abstract paintings and use of colour, Paul’s work presents a strong visual statement to the viewer. Incorporating the concept of alchemy, the work allows him to transform the base metals of his moods and emotions into the gold of visual images that reflect responsive personal memories and emotions. Finally, photographer Anna Nielsson has created a series of stunning abstract images using high-speed flash photography, exploring the patterns made using ink and water, creating unique and intriguing artworks. The exhibition runs from Friday 11th August to Saturday 23rd September. Entry is free. An acclaimed artist from North Wales is to have an exhibition of her latest work at a gallery in Liverpool city centre. 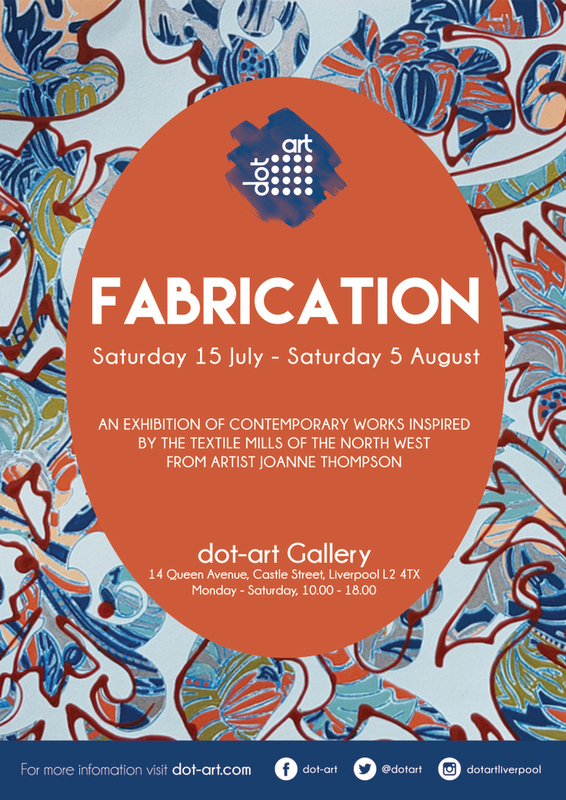 Joanne Thompson’s ‘Fabrication’ will showcase her series of contemporary work inspired by the textile mills of the North-West of England, at the dot-art Gallery, Castle Street, starting on Saturday, July 15th. The 53-year-old mother-of-two, from Ruabon, near Wrexham, who has created in mostly mixed media since she graduated in 2007, has used the fabric designs from textile mills as inspiration for her contemporary creations. She has worked from her studio near Wrexham for over a decade and has had previous exhibitions with different themes in Cardiff, Aberystwyth and in several northern English towns. Her work is currently displayed in both private collections and corporate premises. The exhibition starts on Saturday and runs to August 5th. 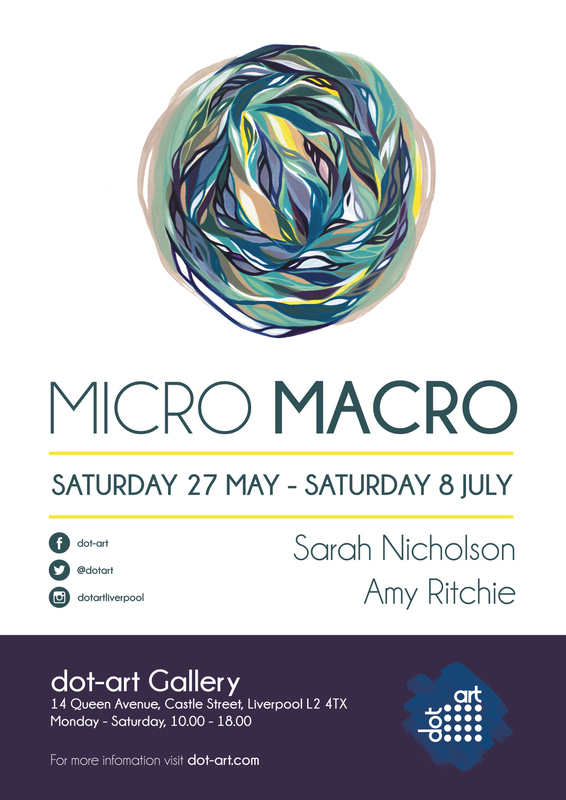 Launching on 27th May, the new exhibition at dot-art showcases the work of two artists who focus on depictions of microscopic details and global overviews, respectively. Amy Ritchie and Sarah Nicholson both take elements of nature and change their scale so dramatically that completely abstract, but stunningly beautiful images, are created. Amy Ritchie uses Microphotography to explore plant forms and the structures within them. Through careful sourcing and preparation of samples, the concurrent imagery shows us dense organic structures and the unique complexity that make up the flora we still hold very much in sentimental reverence. Complimenting and conflicting with this work is a reconnection with her painting practice; focusing on dense fluid forms, reminiscent of natural processes and constructs. The work communicates the fundamental fascination with natural aesthetics and aims to give audiences an accessible insight into microphotography and artistic abstraction inspired by nature and science. In this new body of work, created specifically for the Micro / Macro exhibition, Sarah Nicholson brings together several themes that have interested her for more than two decades: the Industrial Landscape, the Environment and the Drawn Line. Using Google Earth to locate and take snap shots of Solar Farms around the world Nicholson creates an abstract image using various pens and inks on heavy paper for long, obsessive mark making practice, following the forms of the solar farms in the landscape and the concentration of the solar panels to create patterns of densely woven lines in delicate forms reflecting the fragility of the new technology in a world which frequently does not support “Green Technology”. The exhibition continues until 8th July. 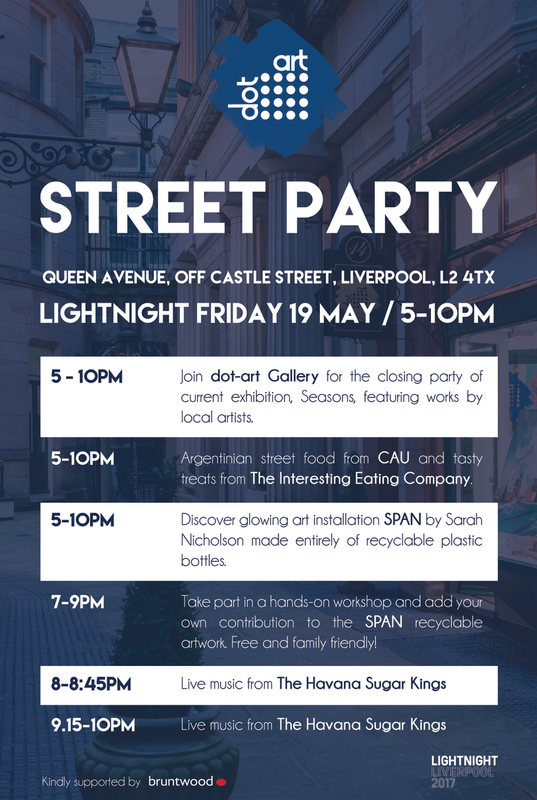 On Friday 19th May from 5-10pm, all are welcome at the dot-art Street Party in Queen Avenue, off Castle Street, to celebrate Light Night. This year’s theme is TIME so where better to start your journey than by stepping back in time into the last remaining 19th century avenue in Liverpool. Visitors will find the closing party of our exhibition “Seasons”, celebrating the effects of time on our landscapes as well as a specially commissioned sculpture by Sarah Nicholson, entitled SPAN. Suspended amid the architecture of Queen Avenue, this new artwork has been created from 450 plastic bottles (1 for each year it takes a single bottle to degrade) donated by the local community. Interpreting the theme of time, Sarah’s concept is built upon the luxury of convenience. SPAN highlights the environmental concerns of the production and consumption of plastics whilst reminding us to consider the impact that each of us has on the planet. SPAN has been sculpted by cutting, twisting and manipulating plastic bottles to create fantastical forms with an important environmental message. During the day, SPAN hangs floating in time as a translucent “ghost” meandering through Queen Avenue and at night, comes to life as a glowing wonderland of suspended trails of sculpture and light. Between 7-9pm, visitors can also join the artist for a hands on workshop using recyclable materials, and add their own contribution to the art work. Alongside the art, there will also be live music from the Havana Sugar Kings (at 8pm and 9.15pm) and delicious food from Cau and The Interesting Eating Company. This event has been made possible with the kind support of Bruntwood. Find out more about Light Night here. To celebrate the start of spring, the new exhibition at the dot-art Gallery looks at the seasons and the changes they bring about on the landscape. This group show will feature paintings by Martin Jones, Michael Love, Lee Summerfield, Hazel Thomson and Joe Thompson and launches on Friday 7th April. Hazel Thompson’s work regularly takes the seasons as its subject matter. Her bright, crisp springtime paintings of bluebells are as effective as her evocative autumnal woodlands aglow with fallen leaves. She specialises in capturing the play of light in nature, whether that be dappled summer sunshine or the long shadows cast by trees in a clearing. Some of Hazel’s more unusual works portray two or even four seasons in one painting, demonstrating how the landscape changes throughout the year. The paintings of Martin Jones are the result of hundreds of hours of painstaking and meticulously detailed work. The works on show all focus on trees, with each leaf individually rendered by this supremely patient artist. In some of his newer work, the combination of different species, shapes and colours of leaf on one canvas combine to create almost abstract patterns. These are complemented by a series of snow scenes by Michael Love and summer woodland landscapes by Joe Thompson. The closing party for the exhibition will form part of dot-art’s offering for this year’s Light Night on 19th May. 2017’s theme is Time and this exhibition was specially put together to fit with this concept. Full details of both the dot-art event can be found below and the full programme for Light Night 2017 can be explored by visiting lightnightliverpool.co.uk. Seasons continues until 20th May. 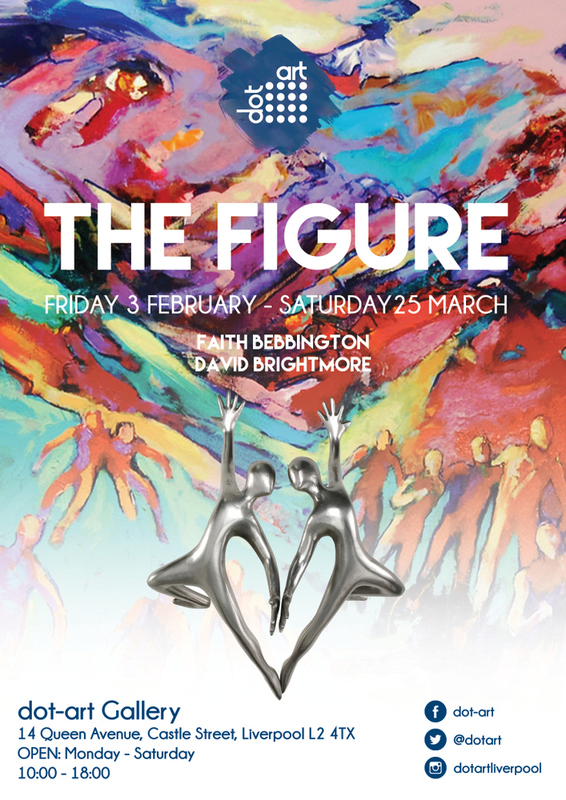 dot-art Gallery celebrates its first anniversary in the beautiful 19th century Queen Avenue with a new exhibition exploring and celebrating the movement of the human body, featuring work by painter David Brightmore and sculptor Faith Bebbington and opening on 3rd February. The Figure is the seventh show in dot-art’s new gallery and the first to feature three dimensional work. The two participating artists both address the way the human body moves and interacts with its environment. David’s Fine Art MA studies focused on the role of rhythm and gesture in painting and Faith’s sculptural practice stems from her personal experience of cerebral palsy and the restrictions this places on the movement of her own body. 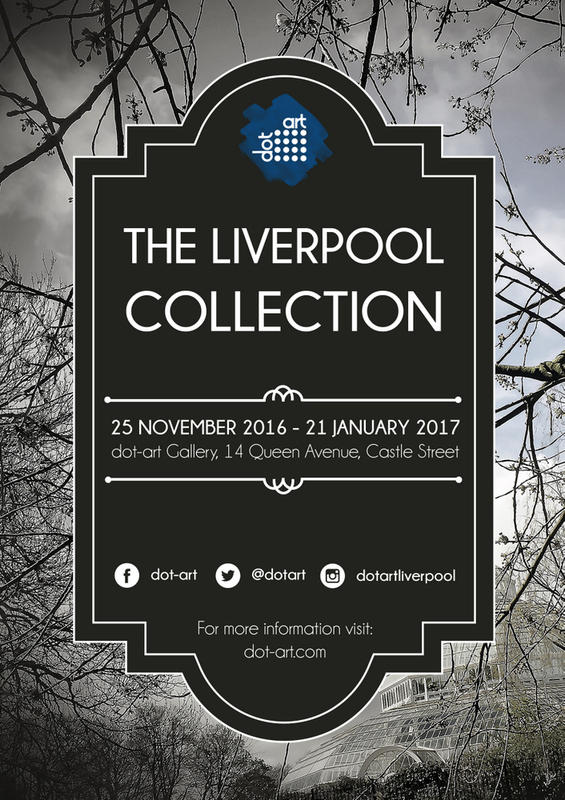 The dot-art Gallery’s Christmas exhibition, The Liverpool Collection, opens on Friday 25th November. 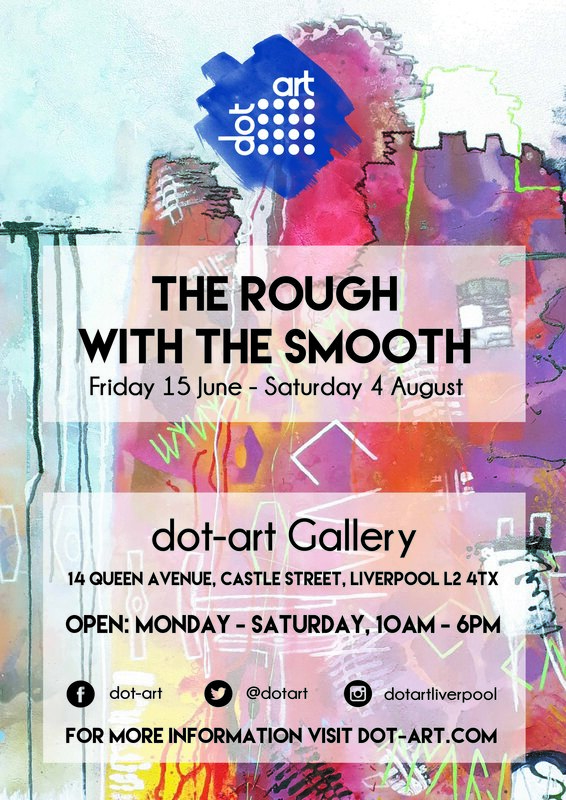 This group show, the first in an annual series, showcases the work of over 20 locally based artists producing abstract, stylish and authentic interpretations of Liverpool and the surrounding area. Susan Finch creates stunning, multi-layered oil paintings of the iconic Sefton Park Palm House, full of intricate detail. If the large scale original is beyond your budget, she has also produced a limited edition of just 10 prints for the show, which are £95 each. If you prefer your art more graphic, the work of Michael James will be of interest. His bold, contemporary lino-prints of some of Liverpool’s architectural highlights, in monochrome with chunks of primary colour, start at just £40. Finally for the music lover in your life we have a fantastic pen and ink drawing of the Beatles by Josh Worrall. The work shows the faces of the famous four at the height of their fame; the original work is £200 and limited edition prints are available for just £40. The exhibition continues until Saturday 21st January. Frances Broomfield creates work that has been described as ‘sophisticated naive’ with the subject matter of her paintings being inspired by imagination. She is currently working on a series of paintings based on characters from Lewis Carroll’s Alice books. Her work has featured on several book covers including Colin Dann’s Farthing Wood series. Frances has taken part in many group and solo exhibitions in the UK and the USA and her paintings are in public and private collections worldwide. Most recently one of her pictures was sold at the auction of work owned by Ringo Starr, in Beverley Hills. 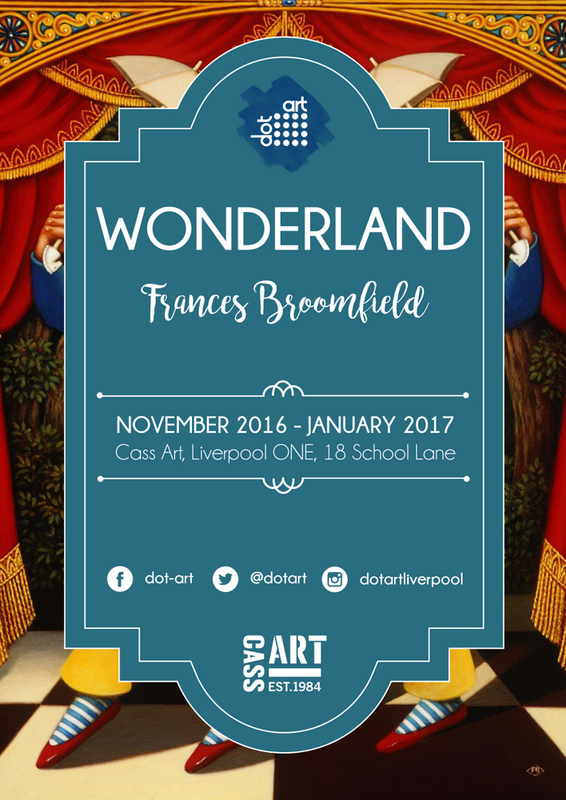 Wonderland brings together a selection of Frances Broomfield’s limited editon prints available both framed and unframed from £45. The framed prints are currently on display at Cass Art (Liverpool ONE, 18 School Ln, Liverpool L1 3BT) and can also be viewed, unframed, at the dot-art Gallery on Queen Avenue.  A special thank you to Cass Art for partnering with us on this artist spotlight and supporting dot-art’s mission to make affordable art available to all. Whilst the subject matter of Andrew and Simons work can vary greatly, both artists are united by a common motivation – landscape and the construction of the artwork itself. For the work in this exhibition, the physical act of painting and the conscious and subconscious decisions made during the process are as important as the original subject matter. Andrew takes his direct experience of nature as his inspiration. As wind, erosion, ageing, decay constantly alter what we see in nature, so too his paint is layered or poured, surfaces erased and reworked. He constantly struggles between allowing materials to follow their own course or directing them towards his own intuitive ends. Often his paintings do not represent a recognizable landscape, but the colours, textures and shapes of the composition evoke natural qualities of solidity, form, air and space. Traces of marks and materials are left on the surface, making the viewer aware of the act of painting as well as the innate beauty of the materials themselves. The end result is paintings which have their own unique form, with their roots in both nature and his own subjective experience. Similarly, elements of nature can be seen in Simon’s paintings. He draws inspiration from features such as skies, mountains and seas and creates images of landscape that ebb and flow between abstraction and representation. Mark making is integral to his working method, layers of paint hang upon a skeleton of underpainting and drawing. Often what is left exposed becomes as important as what is added. Simon carefully selects the substrate he paints on for textures or characteristics that suggest the qualities of the landscape he is working with, sometimes choosing less traditional. 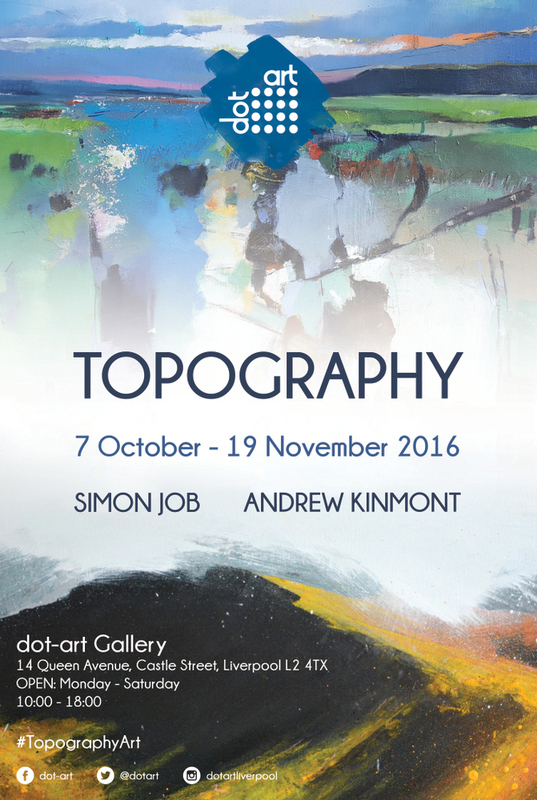 Topography continues until Saturday 19 November 2016. 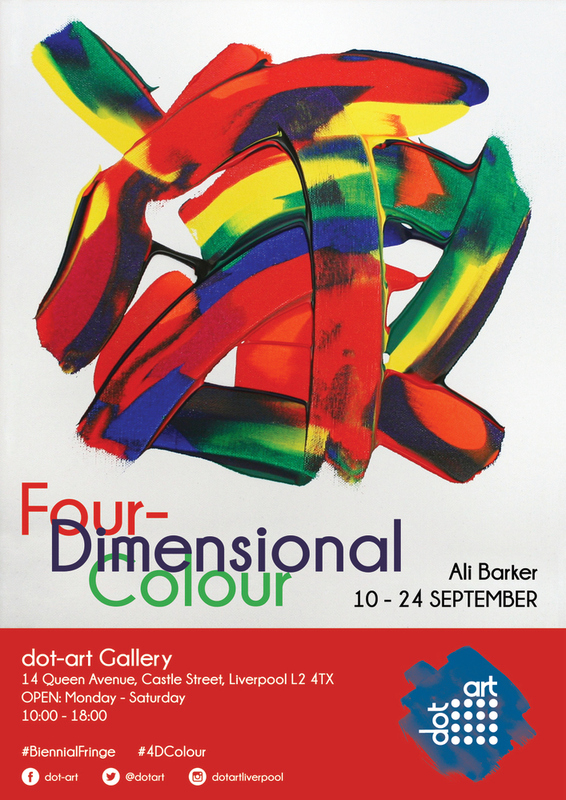 On Saturday 10th September, dot-art will launch a special two week exhibition by Ali Barker as part of the Liverpool #BiennialFringe. The solo show, entitled Four-Dimensional Colour, consists of a series of paintings inspired by the artist’s synaesthesia, a condition where senses are triggered by one another and allow the artist to hear colours. This unique perspective will be demonstrated through the daily painting of two ongoing works over the course of the exhibition. This exhibition will showcase new paintings made between January and August 2016, comprising a set of “instinctive synaesthetic responses” to music and another set representing sounds translated into colours. Since the start of 2016, artist and musician Ali has recorded a distinctive sound each day. Whether this is a musical note, a door-bell, a car horn in the distance or the rumbling of a coffee machine, each sound has then been translated into a small block of colour and added to her ever-growing portfolio of artwork. For each month of 2016 she is composing one painting to represent the music and sounds she experiences, as a grid of coloured squares based on the layout of a calendar. Finally, she will also make a similar, but larger painting comprising all 366 notes and sounds recorded in 2016. This, and the painting of “September 2016”, will be works in progress at the time of the exhibition. The solo exhibition will last for 2 weeks only so pop it in your diary and we look forward to seeing you soon! United through their shared expertise of mixed media, see abstracts, landscapes and typography artworks created with spray paint. Influenced by the medium’s movement, style, culture and function, expect bold, vibrant and contemporary compositions in this group exhibition at dot-art Gallery. Brand new original and limited edition artworks will be available from each of the artists. AEROSOL is part of #BiennialFringe 2016, an independent event facilitated by The Double Negative that will run alongside Liverpool Biennial 2016. Watch Jessica Arrowsmith-Stanley create a cityscape artwork at REX on Bold Street between Thursday 14 July – Saturday 16 July. Through process, composition and technique, this group exhibition of local artists showcased a diverse range of experimental photography. From David John Pearson’s warped light forms to Bryn Davies’ beautiful East Asia landscapes, Experiments in Photography demonstrated the balance between technology and nature, through both digital and analogue processes. 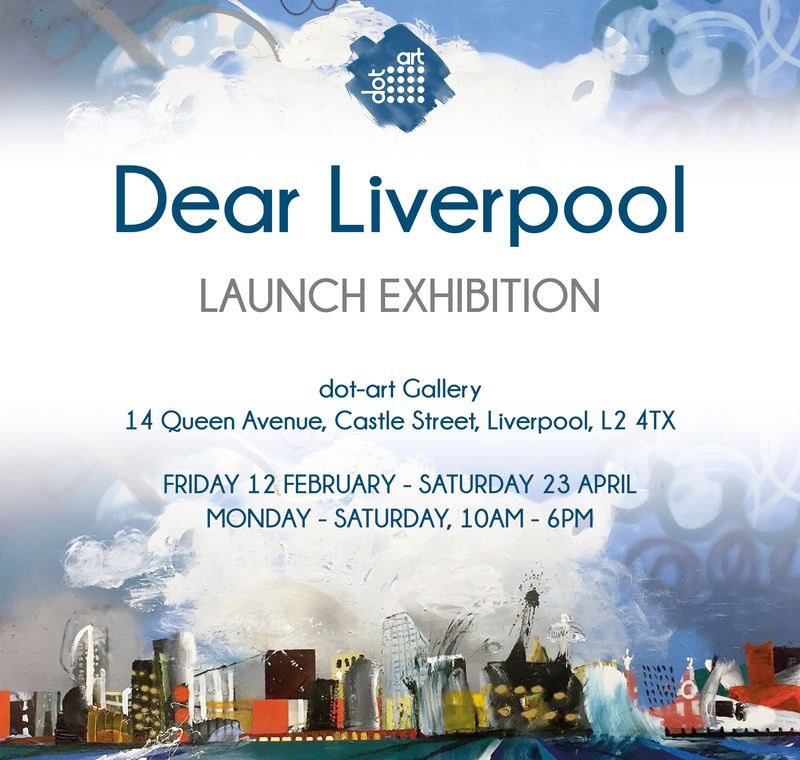 The first exhibition in dot-art’s new gallery showcases the work of 18 artist members and is designed to be a love letter to the cultural capital of the North, and perfectly summarises Liverpool’s energy and vibrancy. 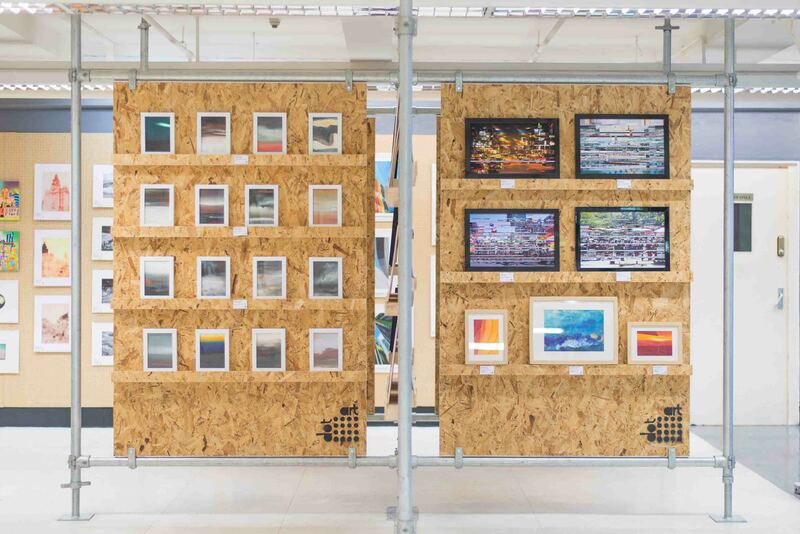 While there are some familiar scenes on show, several artists have chosen to represent the city in abstract or unexpected ways and it is abundantly clear from the diversity and quality of the work in the exhibition how much our city’s architecture, culture and people influence our creative community. All the artwork is for sale, with prices ranging from £25 -£2500. Photography exhibition by Stewart Ellett at the dot-art Exhibition Space at Rex. Part of LOOK/15, Liverpool International Photography Festival. 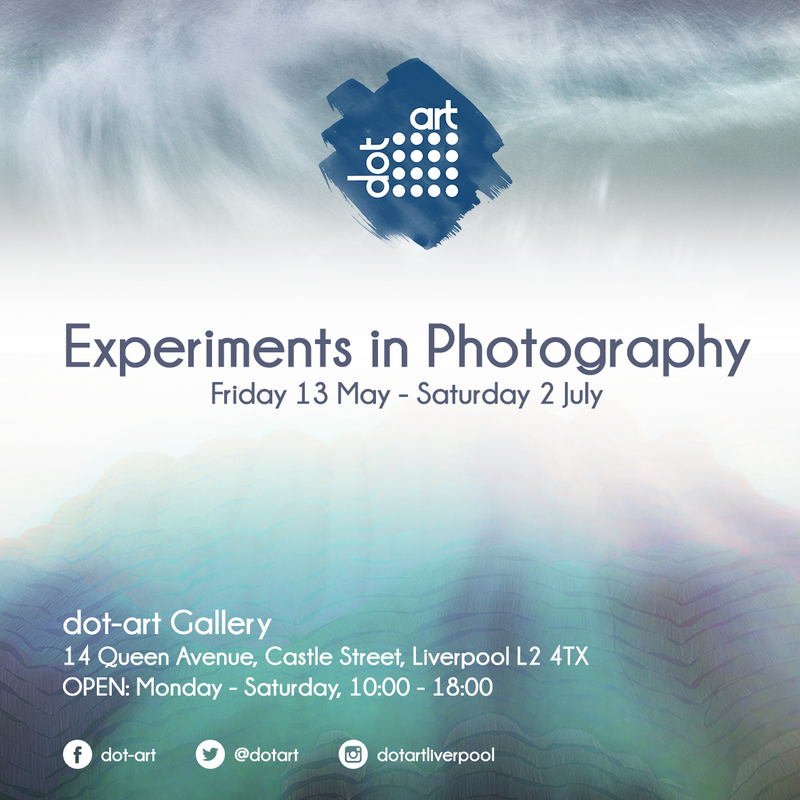 From late 2014 to mid 2015, shoppers were able to visit dot-art at Rex in the lower ground floor of the old George Henry Lee building on Basnett Street in Liverpol city centre, for an ever-changing selection of limited edition and original work by our member artists starting at just £20. Sculpture exhibition by Faith Bebbington at the dot-art Exhibition Space at Rex. Exhibition of oil paintings of Liverpool by Joe Thompson in the dot-art Exhibition Space at Rex. Exhibition of original illustrations and limited edition prints by renowned cartoonist Phil Disley, at the dot-art Showroom. Exhibition of paintings and prints by artists Jackie Wagg and Carol Miller at the Reader Gallery, Calderstones Park.